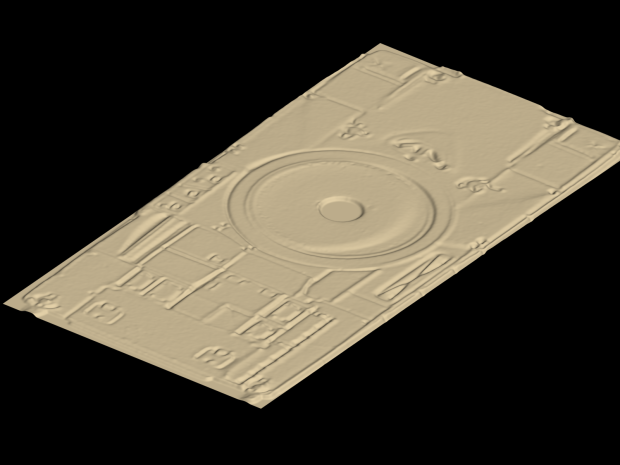 By the way, this is just a half-as test of displacement mapping on an old 32 bit system. I'll get a new system soon, and kick DICE's rear end all the way back to Karkand. Hear that DICE? Don't do that.Use Normal Maps instead. Why not? Bump maps are only factored into the lighting effects, but displacement maps also modify the model. If you change the camera angle, bump maps wouldn't look realistic at all. In BF4, DICE had used bump maps for bricks on a wall in the second campaign level. It looked 3d, until you got up close, and it was just a flat wall. they used normal maps for EVERYTHING. Games post 2006 use normal maps on EVERYTHING. Player models were sculpted in zbrush, and then baked. thats what DICE had probably done and that's what everyone does. Heavily recommend you learn high poly, hard surface modeling in max first if you intend to make an asset like a tank for cryengine. I am aware of that. They use heightmaps for terrain. But that is different from displacement maps, is it not? What you see here took me about 15-30 minutes. How can that be? Because I've come across something that can dramatically speed up the modeling process. It is called "displacement mapping". So this is how DICE have been developing their models. If this helps you in any way, do me a favor and track my page, or at least send me a friendship request. NOTE: No textures have been used in this mesh. It is purely vertices and polygons. Basically a flat plane with a displacement map applied to it.